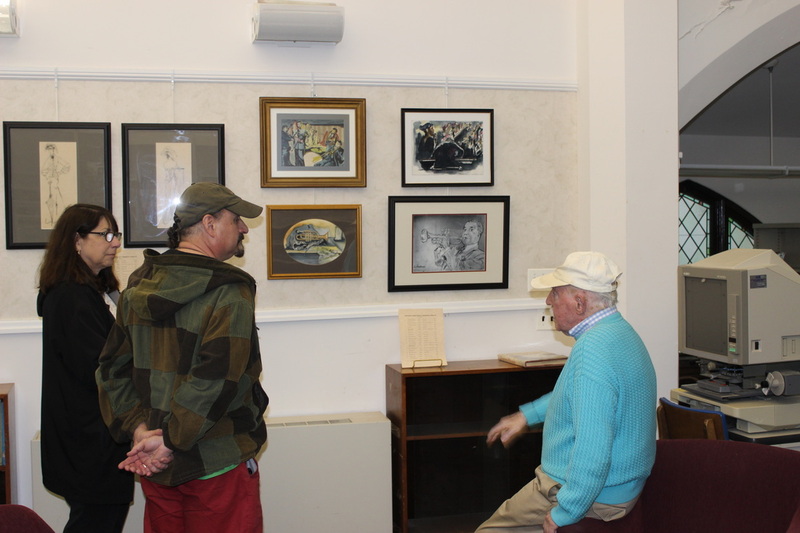 May 21, 2016 -- The Sea Cliff Arts Council hosted an opening reception for an exhibit featuring the works of Sea Cliff artist Frederick Giner at the Sea Cliff Library last Wednesday evening. The Watercolors, charcoal sketches and pen and ink pieces span 70 years, from a 1945 monochrome of Louis Armstrong trumpeting to vibrantly colorful 21st century seascapes. Following his return from Europe at the end World War II, Mr. Giner studied fashion design and illustration at the Parson's School of Design and then entered the retail fashion business opening the upscale Manhattan boutique, Tomas. Pieces in the exhibit include some of the artist's fashion charcoal sketches. 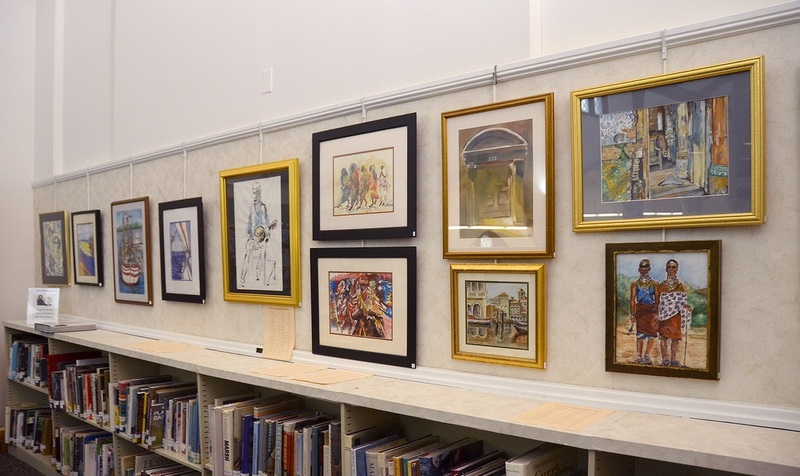 Mr. Giner has more recently studied under Steve Lampasona at the Artist's Studio and is a member of the Metropolitan Museum Costume Institute, the Manhasset Art Association, and the Art Guild. 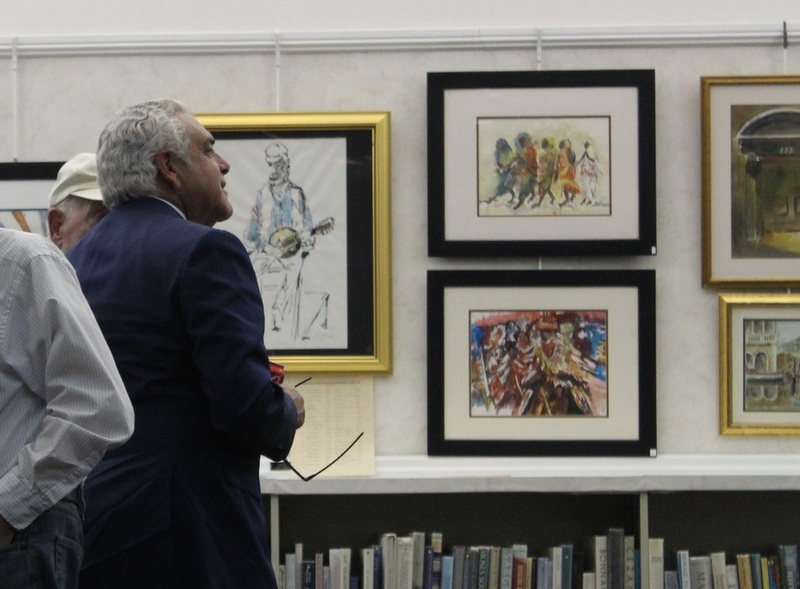 Overall, the exhibit presents Mr. Giner, who has won many prizes for his works, as an enormously talented artist who can depict a wide range of subjects in a variety of styles. 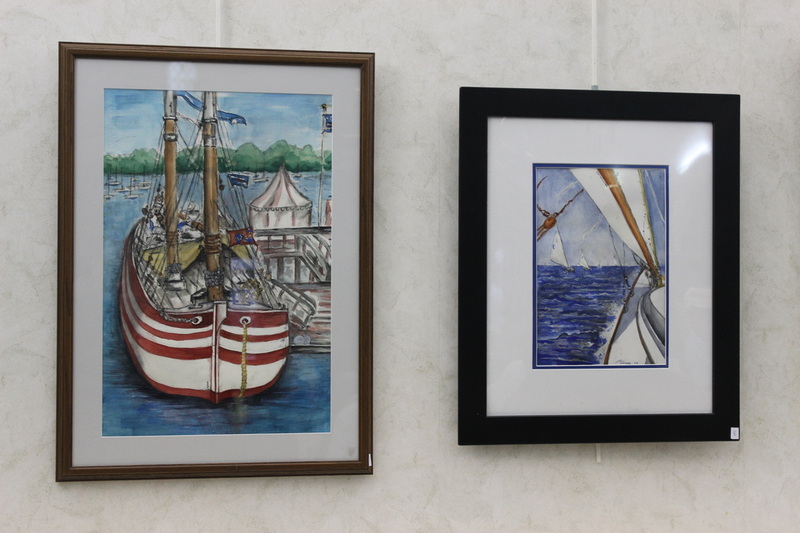 The exhibit will run through the end of July.